The sense of transition Autumn brings with it can be revelatory to your yoga practice. Transition and times of change are so often volatile, tumultuous, full of mystery, overwhelming, and also exciting. Just think about the green leaves of spring and summer erupting into the fiery golds, oranges, reds, and deep purples of fall. Yoga practice offers a steady shoulder to lean on, a daily practice to keep you grounded, relaxed, and mindful of the changes happening in your own life and what you can do to embrace, control, or release them. 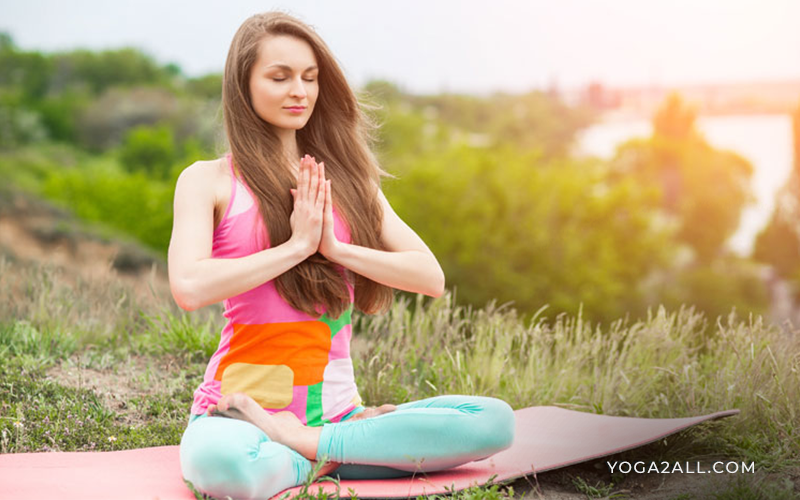 Take your yoga practice outside this fall to make an even greater connection to nature and to the transition of fall by joining an outdoor yoga class or simply live-streaming your favorite online tutorial in your backyard, for example. The tactile connection to the outside world through the ground under your feet, the wind in your breath, and sound of rustling leaves in your ears will only enhance your practice, as will the visual intake of your beautiful surroundings. Spending time in nature has been shown through scientific research to reduce the urge to brood on negative feelings as well as to boost attentiveness. If ever there was a time to practice yoga outdoors, fall is it. Vinyasa Yoga – embracing the power of breath, Vinyasa yoga stems from Hatha yoga but focuses more on transitions in and out of poses and the patterned inhaling and exhaling that accompany them. While more ‘active’ a yoga style, Vinyasa’s series of postures linked together with synchronous breathing welcomes both beginners and advanced practitioners. Ashtanga Yoga – this sequence-style yoga is practiced in a fast-paced, active setting and focuses on 8 points of the body. Unlike other styles, Ashtanga yoga targets a specific order of poses to be completed without breaks. More physically demanding, this style of yoga might be better suited to experienced yogis. Kundalini Yoga – seeking great mind-body awareness? Kundalini style yoga explores a deeper mindfulness through deep breathing, meditation, and chanting coupled with poses. Freeing your mind to seek calm and peace is a matter of funneling energy from the lower body upwards with the postures. Ayurveda Yoga – Ayurveda means “knowledge of life” and is a healing wisdom focused on balancing the energies which constitute each human being – Vata Dosha (wind energy), Pitta Dosha (fire energy) and Kapha Dosha (water energy). Ayurveda yoga emphasizes this balance to achieve physical, mental, and spiritual wellness. Restorative Yoga – soothe the body and mind with this slower-paced yoga style which utilizes props and postures that can be held for longer amounts of time. Also aimed at restoring the balance of the mind, body, and soul, Restorative yoga is a great compliment to a more active practice. If you are content with your existing yoga style, seek variety in other ways. Perhaps try a different class with a new teacher, or invite a friend to join you. As fall transitions into a holiday season bustling with shopping, traveling, eating, and partying, it’s easy to accidentally forget your sense of mindfulness when you hop off your yoga mat. Be cognizant of yoga’s core principles as you go about your daily life – at work, at home, with friends, and so on. Kindness, truthfulness, mind-body awareness, non-violence, wisdom, simplicity, contentment, and self-discipline are not just components of your practice and meditation, but core values to influence your life, your decisions, and how you interact with others. For many, yoga practice isn’t simply about improving flexibility and renewing a purely physical vitality through low-impact exercise. People practice yoga because of those other aspects it offers, whether you want to call it spirituality or simply mindfulness. Embracing yogic principles outside of the studio or gym can positively influence your life and even help you tackle physical ailments holding you back like a fitness injury, arthritis, or more serious conditions like diabetes. Optimizing yoga practice by choosing a style that is mindful of your limitations but still pushes you may require aids like yoga straps, blocks, or orthotics, like an arthritis knee sleeve. The holidays so often beckon feelings of sadness, loneliness, or depression, especially as it brings up memories of loved ones lost or heartbreak. Let yoga practice be your guide in staying grounded, self-aware, and at peace. Winter squash – load up on fiber, potassium, and calcium in the low-fat, low-cholesterol squash of winter. Acorn squash, delicata, and butternut squash are fall and winter staples that taste great in sweet or savory dishes including risottos, salads, soups, and even milkshakes. Fall fruits – apples, pears, and figs are the name of the game when it comes to munching on healthy fall fruits. Apples and pears offer appreciable amounts of fiber and antioxidants, while figs ripe with potassium also generate important doses of copper, manganese, and calcium. Sweet potatoes – another holiday favorite, sweet potatoes might seem like an unhealthy Thanksgiving side when doused in brown sugar and marshmallows, but on their own, sweet potatoes are insanely healthy. With the highest content of vitamin A that any other food, sweet potatoes also nourish you with potassium, fiber, and immunity-boosting vitamin B-6. Cauliflower – chomp on loads of cruciferous vegetables this fall like cauliflower, broccoli, brussel sprouts, and kale and receive surprising amounts of nutrition. 1 cup of chopped cauliflower will have almost an entire day’s worth of Vitamin C as well as appreciable amounts of potassium and Vitamin B-6. Quick roast, saute, or steam cruciferous vegetables to retain the most nutrition when you eat them. 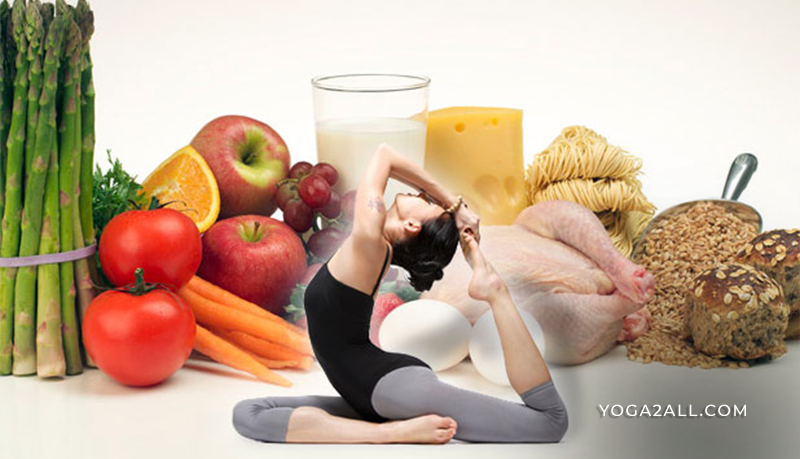 Your yoga practice can only benefit from the weather, food, and variety fall has to offer. Be mindful of the changing seasons and you can transform your daily yoga routine for the better. Next Article Does Smoking habit Cause Hair Loss?